When prominent Duluth Architect I. Vernon Hill designed his own house, he chose the half-timbered Tudor Revival style and decorated it with a carved lion’s head under the corner eave of the front porch. The house also features a projecting front gable, a Hill trademark. 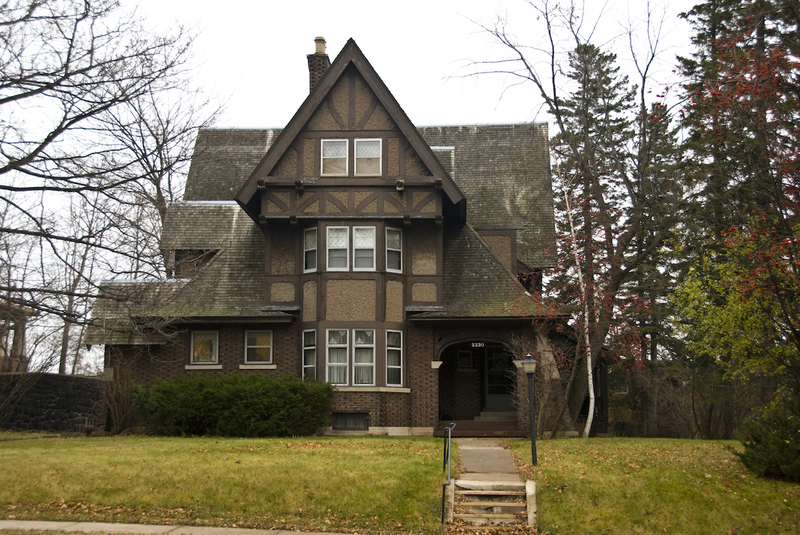 An Englishman, Hill came to Duluth in 1892 to work for the Lakeside Land Company, which developed Duluth’s Lakeside and Lester Park neighborhoods. He started his own architecture firm in 1895.